Note: Before purchasing, please check your University's rules and regulations. Dorm Co. Tip: Cook more than Ramen in your dorm room with this multi-functional dorm cooker! You're not going to want to eat in your college cafeteria every day for dinner. Either the food won't be all that great or your schedule simply won't match up. You also don't want to get takeout every day. Not only will that put quite a dent in your wallet, but you'll also get tired of it quickly. For a healthy, more cost effective option, you can cook dinner right in your college dorm room with our 1.5 Quart Slow Cooker. 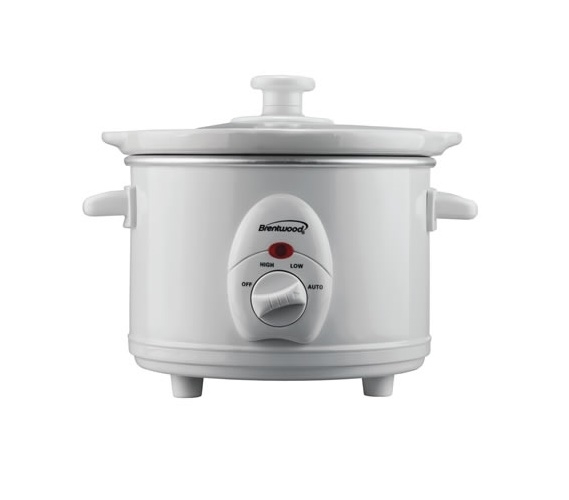 Our 1.5 Quart Slow Cooker has a compact design that will allow you to easily store it in your college closet or on a dorm organizer when not in use. This dorm essentials item holds 1.5 quarts of food so you can make dinner for you and your dorm roommate and even have some leftovers for a day or two. Our 1.5 Quart Slow Cooker has three heating settings of high, low, and auto so you can cook the food you want in the method you need. Why make another box of macaroni and cheese when you can make it in your 1.5 Quart Slow Cooker from ingredients you purchase at the store? Add some variety to your dinners with our 1.5 Quart Slow Cooker.